We traveled down to the NC/TN border recently and enjoyed the grandeur and simplicity of the Great Smoky Mountains National Park.. Completely worth the long drive down Virginia’s I-81 corridor – and it is a long corridor. In order to enter the park, one must drive through a Cherokee Reservation – the origin of the Trail of Tears which relocated this tribe to the midwest, simultaneously killing hundreds of men, women, and children unfit for the rigors of the trail. — an anachronistic contrast to the reproduced settler’s home and grounds at the Great Smoky Mountains Visitor’s Center. There, original buildings pay homage to the manual skill and perpetual labor of the people who lived in this part of the Appalachian Mountains before 1934. Every single building, item, and tool in the compound was made by hand. The heat on the day of our visit was heavy as a wet wool blanket draped over our shoulders, and the sweat dripping from the face of the Ranger as he weeded the onion patch was testimony to the discomfort people endured to survive on this land. There was an element of regret on the faces of many adults – all ages. A longing which caused owners to flip closed their Smart Phones with a practiced gesture and stare at the green valley and cool stream with a far-away, dissatisfied gaze. 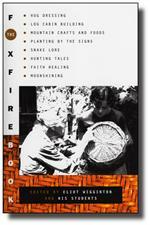 The Foxfire Books, a project of a 1970s-era English teacher in a rural North Carolina, used oral history to record the process of building and living in the Great Smoky Mountains in pre-electric days. Aside from my admiration for the teacher who helped restless teens to create a record of a culture now mostly gone, the book makes a good point. 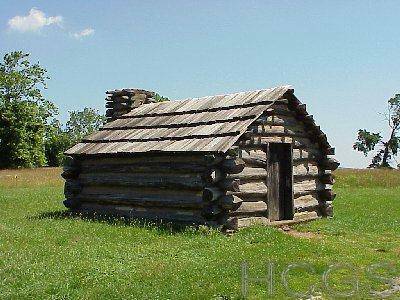 “To those who would look on such a project [building a log cabin from scratch using original tools] as a farce, or a chore not worth the time, we have little to say. We speak instead to the individual who feels some loss in the realization that this age of miracles, miraculous though it is, has robbed us of the need to use our hands. We speak to the individual who feels that someday, somewhere, the use of the instructions contained in these pages will be a source of tremendous satisfaction. As we speak, in a sense, to the child in man — that free spirit still building tree houses in the woods. At some point, our Nation changed from a motley collection of ‘wretched refuse’ tossed from the world’s shores with little more than their ingenuity to recommend them into a homogenized group of politically-correct, entitled, welfare-recipients who rely on the Weather Channel to tell them what is happening around them. There is little risk, joy, job satisfaction, or need for ingenuity. Maybe that is why the Great Smokies still call to travelers, who gaze wistfully at the weathered, hand-split shingles atop hand-hewn beams and slam the door a little harder when they climb back into their air-conditioned SUVs.